PID# 5 LAKEFRONT VACATIONING AT IT'S BEST! 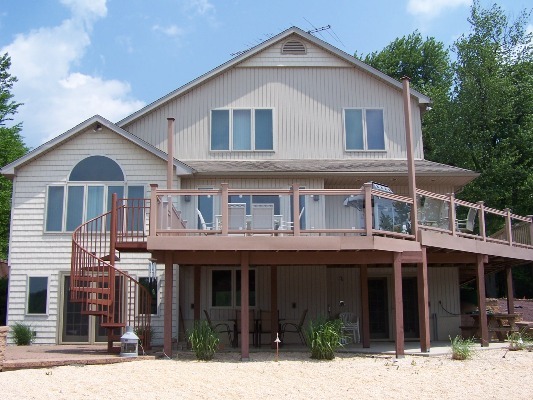 You will be very comfortable enjoying your vacation at this Absolutely Beautiful Lake Front Home located in amenity filled Towamensing Trails. This is a perfect home for enjoying your family vacation. This home is split in 2 separate living areas for larger parties. Please inquire for actual rates! This home does not have a working phone. Don't forget your cell phones. Our homes are supplied with dishes, cookware, pillows and blankets. PLEASE BRING towels, dish towels, linens and paper products. Linen service available upon request and additional fee. This home accommodates 12 people. Please do not exceed this number.